I know it’s not quite the end of the month but I thought I’d share images of the exhibition early. I also know that life is about to get busy so I’m writing this post when I’ve got some time. 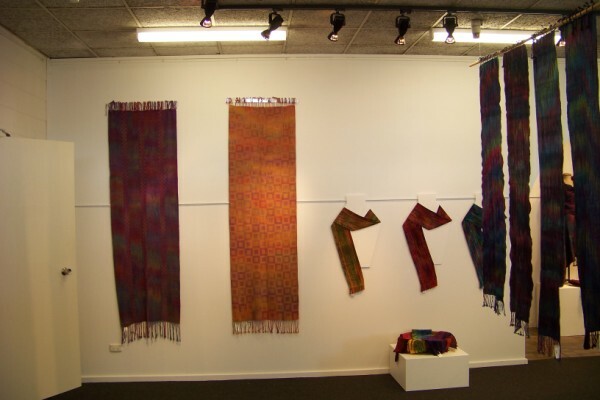 The blog this month is all about the exhibition in Darwin. The staff at the gallery worked hard and have presented the exhibition beautifully. They have been a delight to work with. I do love the use of the very ornamental frame that they just happened to have in the back room. I’ve started the images on the left as you walk into the room. They then follow around the room. They are intended to give an overview of the exhibition: Line, Angle, Curve. All the work have elements of geometric pattern. Many of the work have been shown on earlier blogs. 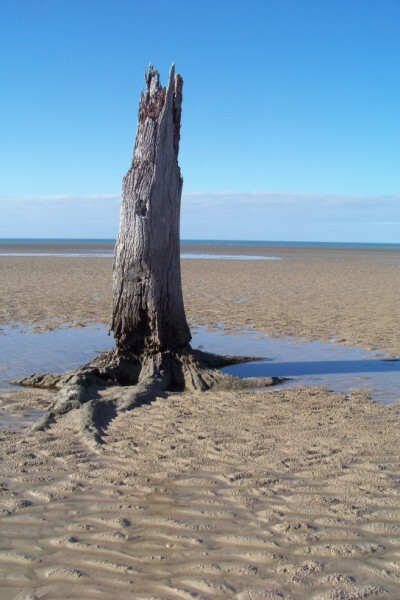 Once I got home, I spent a few days catching up on some work and recovering at Burrum Heads. 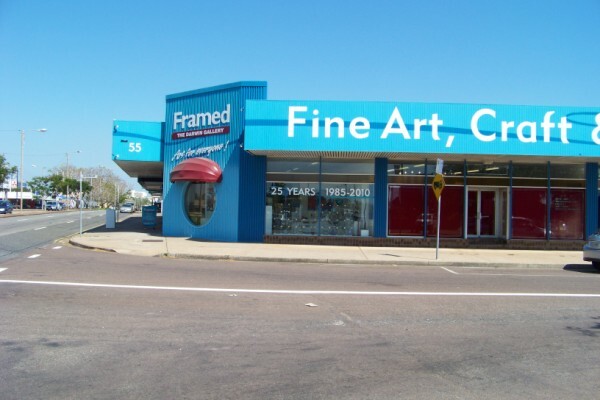 I have been going there since I was very young. It has been a family connections since my father was a young lad. Every time I visit, I always make sure I walk to the “dead tree”. My mother has memories of it standing out in the water 60 odd years ago. Each time I visit it is more worn, but it is an amazing to consider that it has stood out in the water exposed to the tides for that length of time and possibly much longer. Only less than a week to go and I’ll be in Darwin for the opening of my solo exhibition. Here’s the e-invite. If anyone is in the neighbourhood, it would be great if you could get along for it. There’s not much to show this month from the studio. 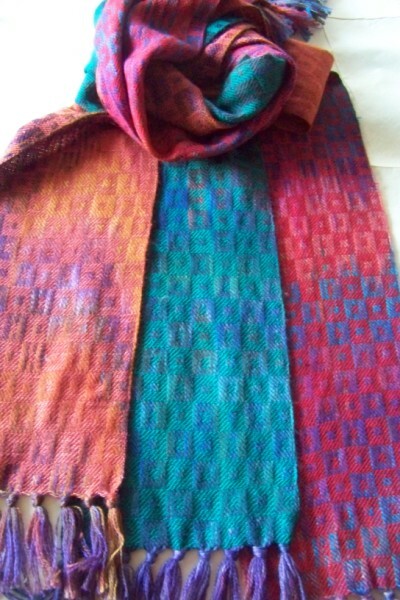 I have done a number of scarves and have started spending some considerable time on design. Those designs will appear later but at this stage they are still got a way to go before I share them. 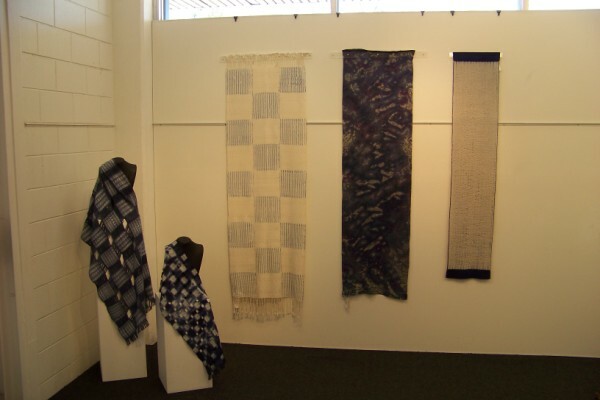 Here are examples of two scarf series that I have been working on. 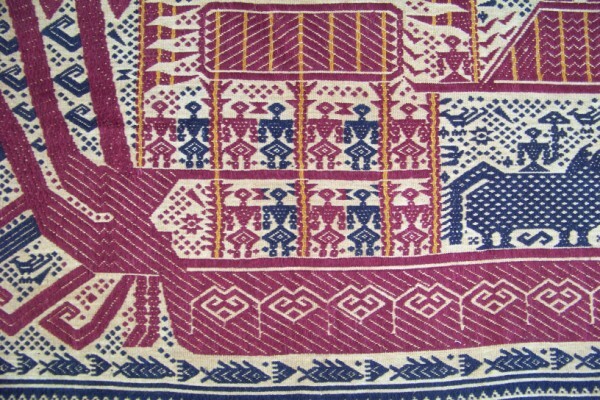 In addition I thought that I’d share some textiles from Sumatra, Indonesia. These were originally collected by a Fran Keech in the 1980’s. 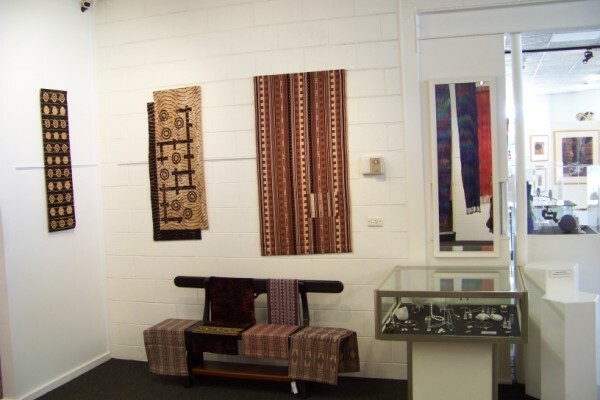 She was not a “textile expert” at the time but was absolutely fascinated by textiles and went to Sumatra armed with what she had discovered and with an intent to collect. She passed them to me sometime in the mid 1990’s. 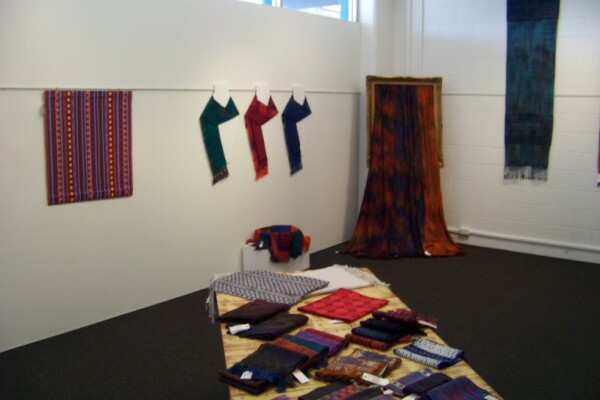 I have always made a committed effort to share these textiles and have felt that I’ve held them “in trust”. This seems an ideal venue to share them. 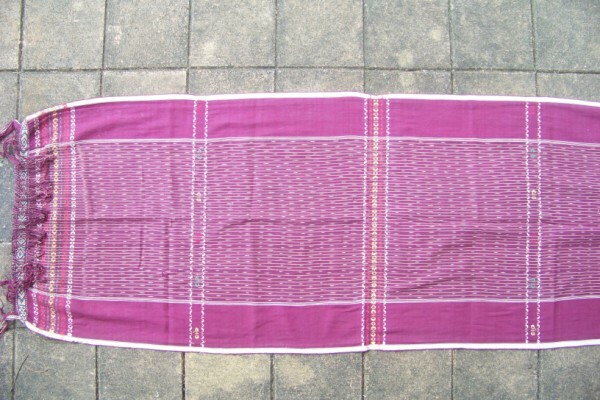 The first textile is a Palepai or Ship’s Cloth. This particular type of Palepai is known as sesai balak or big wall. (280 x 56 cm). It originated from the extreme south coast of Sumatra. It was probably woven about the early 1900’s or earlier. These have not been woven since then according to what I have been able to find out. 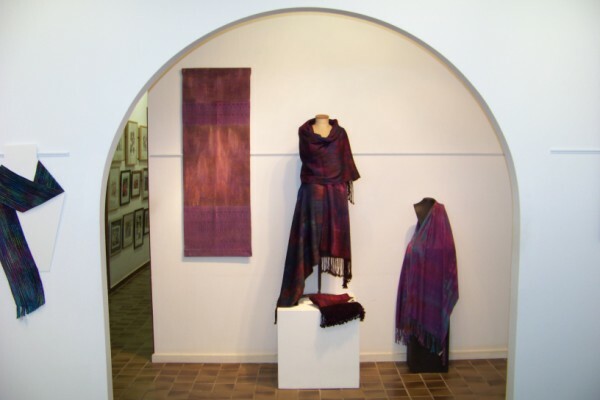 It is woven from hand spun cotton yarn. Technique: plain weave background with supplementary weft pattern. 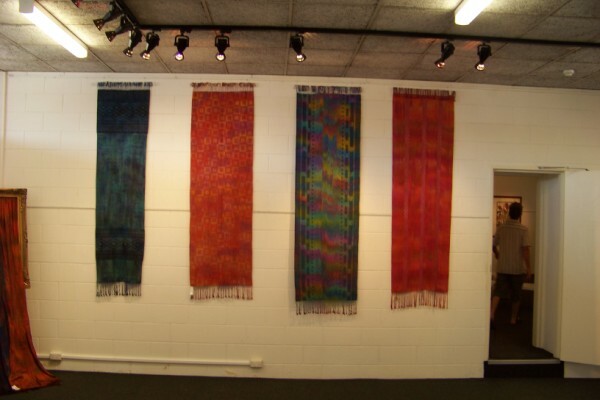 Each colour is woven in its isolated area. Therefore there may be several colours being woven in one pick. Purpose: These were used to celebrate important rituals: marriage, birth, circumcision, when a man advanced in rank, death. They were hung behind the principal person, with the palepai of other participants being hung to the left and right according to rank. 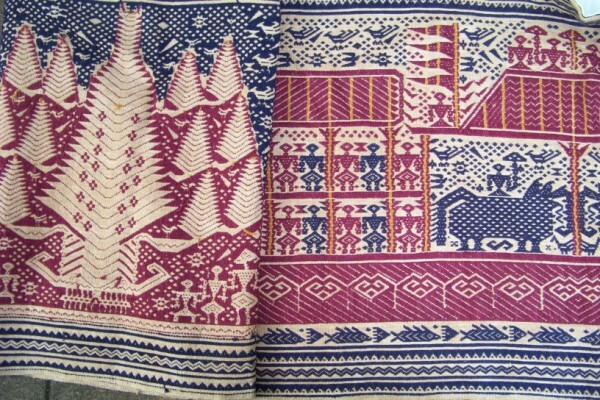 According to Gittinger in Splendid Symbols: Textiles and Tradition in Indonesia, Oxford University Press, 1990 (original by The Textile Museum, Washington 1979) The history of ships cloths is obscure and the reason for both their original use and their decline remain conjectural. The skill need to produce them is completely lost….. The factors that are presumed to have caused this include the abolition of slavery in 1859, the decline of the pepper trade, and changing marriage traditions. So many have appeared on Western markets in the past five years that it doubtful any significant number remain in use in Sumatra today. 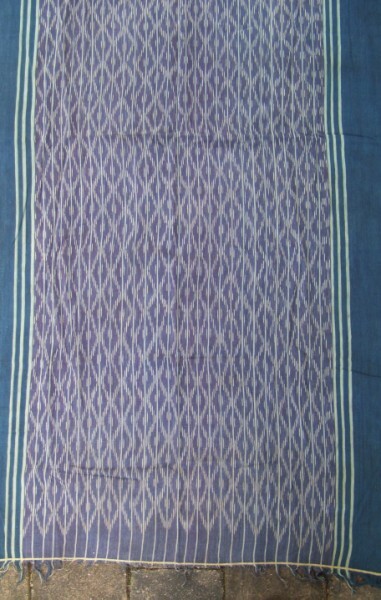 This is a very old ikat textile that was collected on the South Western side of Sumatra. 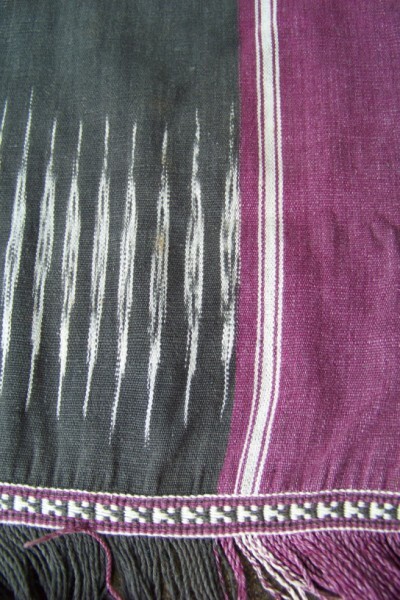 For producing ikat cloth, the warp is wound, then the area which isn’t to be dyed is bound then dyed. As you can imagine there were many tied areas here to produce this cloth. The pattern is very well aligned. Indigo was used to dye the yarn. 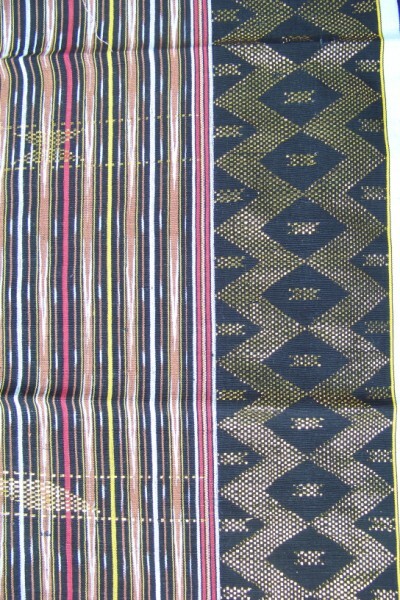 This old narrow scarf was also collected from south west Sumatra. 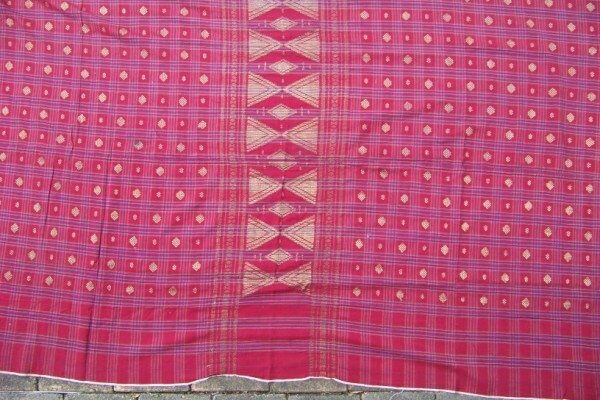 In addition to the ikat it has additional pattern with a supplementary weft design. This is a remarkable textile. It was originally a skirt. Fran who collected it undid the back seam. The background has coloured checks. The pattern is achieved by the use of metallic wrapped around a core of probably cotton. This is then woven as a supplementary weft aligned with the background of checks. I understand that Fran was told it was a “court” skirt from the mid east coast of Sumatra. She later discovered that it wasn’t the “nobility” who wore it but rather women of lesser standing at “court”. This textile is a little more recent, though not modern. I have shown a close up detail of the whole. Along the length there are spaced bands of these ikat stripes. The control in achieving the clarity of the ikat design is great. Note the patterned band at the end. This woven band appears at both ends and finishes off the textile. This seems to be typical of the south west. This is a “new” textile. It would have been woven in the mid 1980’s. The ikat and supplementary weft (including brocade) traditions are still being used with glitz. In some ways though this is an extension of the metallic wrapped cotton core thread that was used in a previous textile. The skill in weaving this is excellent. 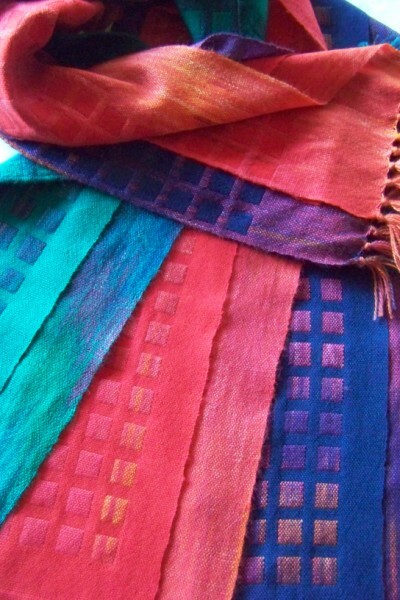 These textiles are surely a reflection on the skill of weavers spanning more than a century. It can be guaranteed that in all cases they were using “primitive” looms which were most likely back strap. You are currently browsing the Kay Faulkner's Blog blog archives for July, 2011.